This week’s High Five Friday goes out to Andrew Noble, from TWO MEN AND A TRUCK ® Oshawa, Ontario! Kari Campbell, Franchisee and General Manager of TWO MEN AND A TRUCK ® Oshawa, Ontario, has also been a recipient of the Moving People Forward Edition High Five Friday. She had this to say about Andrew. Andrew started with TWO MEN AND A TRUCK ® Oshawa in October of 2013 as a mover. He then trained to become a driver, which he has been since January of 2014. Andrew is well liked by his coworkers and has quickly become their favourite to work with. He has received similar accolades from customers, as last year, Andrew had a 100% referral rating. He embodies the company culture and follows our core values which have made him an asset to our company. 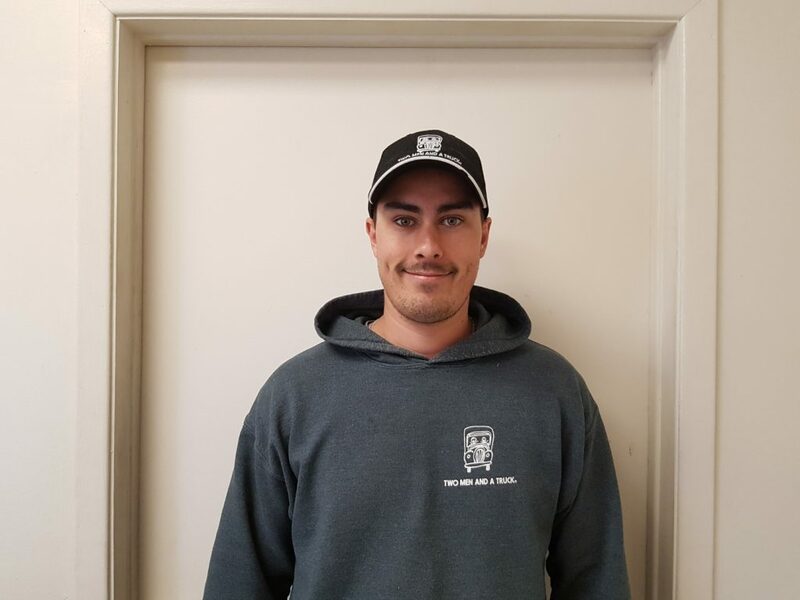 In January of 2018, Andrew was deservedly promoted to Move Manager of TWO MEN AND A TRUCK ® Oshawa. As a Manager his duties have expanded to include helping to train new drivers and movers, as well as taking care of truck maintenance and log book tracking. We truly find ourselves lucky to have Andrew as a part of our team. Andrew had this to say after he was promoted to his new role as Move Manager. It has been exciting taking on my new role as Move Manager. We have a great group of drivers and movers right now and I look forward to working with them going forward. I like working for a company that sees the potential in their employees to move them forward. Thank you, Andrew. Being known as the Movers Who Care® doesn’t just happen because we say it. It happens because we do it. We’re all proud to be a part of a company that provides such a wide variety of career opportunities. Thank you for being a great example of how a person can start out as a mover, and end up being a Manager. High Five!